Having graduated from LAMDA this summer, Tom’s professional career has certainly started impressively. He made his West End debut as Claudio in Much Ado About Nothing at Wyndham’s Theatre this summer and is following that by appearing in The Lion In Winter as Richard The Lionheart, son of King Henry II, at the Theatre Royal Haymarket. I had the pleasure of watching Tom perform in Josie Rourke’s production of Much Ado About Nothing, and his performance was first class. Here is an actor that has the potential for a long and distinguished career on the stage. Earlier this week Tom took time out from rehearsals to answer a few questions about himself and his career. When did you first think about a career as an actor? I think it was probably after doing a National Youth Theatre production in the summer before returning to do my A-levels. It was when everybody was filling in their UCAS forms and I just thought “this isn’t for me” and all I wanted was to be back in London on stage. I can’t remember anybody specifically, that’s not to say that I didn’t admire anybody before deciding that I wanted to be an actor. But when you see performances like Mark Rylance in Jerusalem, you have moments of thinking that that is something special and makes you want to aim towards a performance like that. What did your family say when you told them you wanted to be on the stage? My family have always been amazing. I know plenty of people whose parents aren’t as supportive as mine, but I have been extremely lucky. My parents saw how much I wanted it and have always been behind me, in the audience at every production I do. You graduated from LAMDA this summer. What are some of your favourite memories from your time there? LAMDA was amazing. I’m not going to lie and say that everybody loves every second, but the friends you make and the vast variety of skills you learn and refine are just incredible. My favourite times were probably falling flat on my arse on a weekly basis, but the last year of LAMDA, rehearsing with people that you have spent every second of the past two years with, were moments I won’t ever forget. You made your professional and West End debut as Claudio in Josie Rourke’s production of Much Ado About Nothing at the Wyndham’s Theatre this summer. Do you have a preference for modern or traditional versions of Shakespeare’s plays? I wouldn’t say that I prefer classical to modern or vice versa. I have had more experience in classical text so I feel very comfortable with stories rather than a style. Is there a role in a Shakespeare play that you would really like to perform? I was lucky enough to play Coriolanus in my last year at LAMDA and I would love a chance to play that role again later in my life. 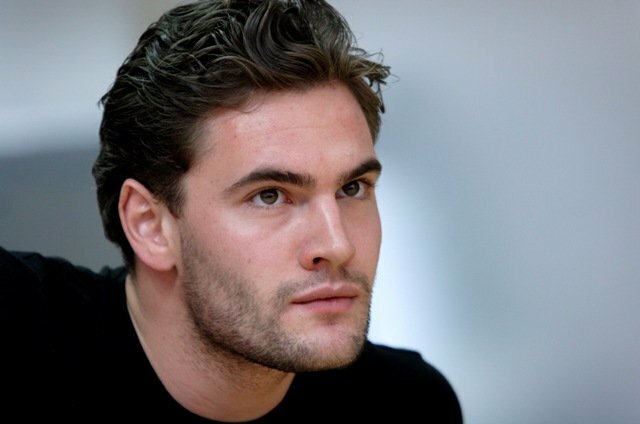 You will be performing as Richard in The Lion In Winter which opens at the Theatre Royal Haymarket in November. What can you tell us about your part, and the play? Well we all know about Richard the Lionheart from history, but this play focuses more on the personal relationships and ambitions of these infamous characters. The three young sons all want their father’s crown, which he is less than willing to give up, and it follows their manipulation, deceit and betrayal of the people that they should (and do) love in order to achieve their ambitions. Ironically it’s set over the two days of Christmas Eve and Christmas Day! Having performed alongside well-known names in Much Ado About Nothing, The Lion In Winter has also a very strong cast. What is it like backstage and in rehearsals with such experienced actors? Everyone I have been lucky enough to work with is amazing. This cast is such fun; they work hard but don’t take anything too seriously. As a young actor you must be given a lot of advice from different people. How do you decide what is best for you? You do get advice from people but I think that you just have to be true to what you feel towards different things. But it’s great to chat things through with experienced actors. Do you have set routines before going on stage? Yes – but that’s my own little secret! Do you have any long-term career ambitions? Just to keep working and doing work that I’m proud of. I would like to work in all mediums and with different material as I think that helps keep your work different and interesting. With the exception of the current and previous cast, who would you most like to appear on stage with? Oh wow! I don’t think I could say one, I think actors that are very different from me would be great as you learn so much from them. What message would you give to any young person thinking about a career on the stage? Go to Drama School. Work as hard as you can, but don’t take anything too seriously. And always be early! You have obviously had a full schedule since graduating. What do you like to do to chill out? I see films, see friends and read. I’m not good at doing nothing. Thinking about buying an X-Box……. Any message that you would like to give to your supporters? Not entirely sure that I do have any supporters but if there are, then thanks! And please come and see The Lion In Winter! Thanks Tom for answering a few questions about yourself and your career. Best wishes for The Lion In Winter and your future roles!